If you are a new reviewer in 15Five and need help reviewing your first 15Five report, look no further. You are on your way to giving meaningful feedback and helping your employees grow. For more information on how transparency will help your business succeed, check out this article. A reviewer is the main person responsible for reading and reviewing 15Five check-ins. This would typically be a manager or supervisor of a team. 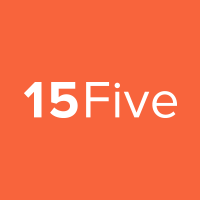 In 15Five, the term reviewer means that the person has employees who report to them. The people that report to reviewers are called reporters or direct reports. For more information on roles in 15Five, see this article. Every reporter who submits a report is assigned a reviewer. The only time a reporter is not assigned a reviewer is if the reporter is at the top of the hierarchy. A reviewer has the ability to ask questions and invite their own team. You can locate your team's 15Fives under the 15Fives tab, then select Team 15Fives. From there, you will see prompts to either invite your team, or you will see the team members who are already assigned to you. If you do not see all of your team members present and you are unable to invite the team member because they are already in the system, please reach out to your admins. They can help assign your direct reports to you. NOTE: When your team submits their check-ins, you will receive an email notification that their report is ready for you to review and a link that takes you to the awaiting 15Five. The effort you put into 15Five, directly correlates with the value you will get out of it. If you want amazing feedback + results and to keep the ideas flowing within your team, remember to interact with each 15Five. The smallest of acknowledgements can go a long way in making your reporters feel heard. The quickest way to show your Reporters that you acknowledge their feedback or accomplishment is by liking their answers. Just click on the heart to show that you like their response. If you want more information about a response or if you just want to make a comment on a Reporter's answer you can do that by clicking on the chat bubble by the answer. If you are in between tiers in your company, you can pass-up a Reporter's answer and include it on your own your report. As a best practice make sure you review your team's check-ins prior to submitting your own report. Use the '...' to see this option. You can add answers to a 1-on-1 meeting agenda to go over during your 1-on-1 meeting. Use the '...' to see this option. Rename the item with a title that will appear on your 1-on-1 agenda under the 'Talking points' section. It can be easy to forget wins and challenges that come up, you can add answers and goals as wins & challenges and they will show up under this user's profile for reference. What you add under their profile will remain private to you. Use the '...' to see this option. If their answer requires a Follow-up from you, you can flag the answer for followup. This will show under your 'Team 15Fives' tab and then be listed under Follow-ups. Use the '...' to see this option. If your company has this option enabled, you will be able to share answers via email and customize the email that is sent out. At the bottom of your direct report's 15Five, you will see all High Fives given and received since the last check-in. After reviewing a 15Five, you can High Five your direct report directly from the check-in. This option is located at the bottom of the 15Five check-in. Check out the High Five Best Practices to ensure your feedback is effective! This is a time for you to give an overall response about the 15Five and add anything else you want to include. You are awesome! Want to learn more? Here are five articles that reveal the real value of employee engagement.